If you’re a B2B company, there’s a 91% chance you are using content marketing as part of your marketing strategy. At the same time, just 24% of B2B organizations say their content marketing is ‘extremely’ or ‘very’ successful (read here the full study). Are you one of the majority of B2B companies that need a bit of help in the content marketing department? If yes, you’ve come to the right place! 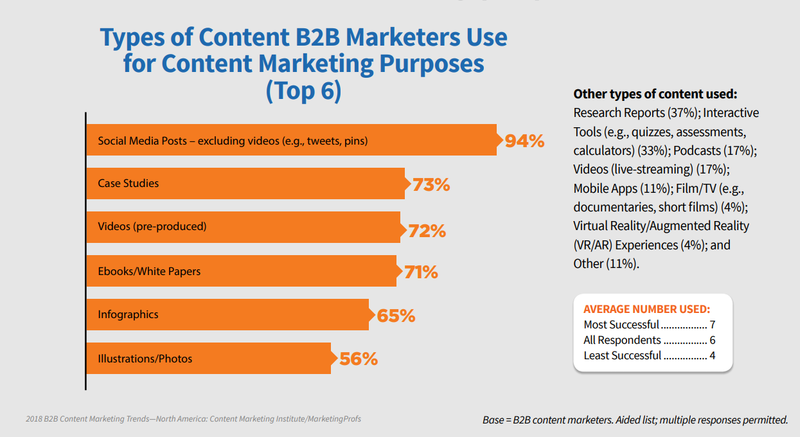 In contrast to B2C, B2B content marketing seems less than straightforward. Take, for example, a hair care brand, selling a range of shampoos in a drugstore chain. We’ve all purchased shampoo at some point in time, so it’s not too difficult to imagine the type of content a regular consumer might find interesting. But what if you are the marketing manager of that same hair care company? What if you need to convince the Head Buyer at a national drugstore chain to carry your shampoo line in their stores? That’s B2B marketing, and that’s where it gets tricky. But not as much as you might think. When it comes to content marketing for your B2B business, there are 5 key things to remember about your customers that will go a long way to getting the results you want. 1. B2B customers are human too. B2B companies are not simply selling a bottle or two of shampoo. Purchase deals for B2B products and services are often complex, expensive, highly technical and customized too. This means that the process of marketing and sales is also complex, protracted and totally business-oriented. Even so, B2B customers are human just like the B2C customer in the shampoo aisle. Of course, your offering is not the same, but you are still selling to a real person. What makes real people want to part with their money? Stories, emotions, authenticity and value. That’s right – whether you’re promoting e-payments technology or business investments, remember that your content should always aim to tell a compelling story about your brand, and what value it can bring to the customer. Other ways to capture the attention of your B2B customers is by leveraging interactive content. Interactive content might be the most ‘human’ content of all. It isn’t just a page of static text or a passive video viewing experience. Interactive content challenges and engage your readers. It arouses their curiosity, and makes them feel a part of your brand. And all this leads to higher conversions. 2. There are many decision makers in B2B purchases. B2B marketing is never about winning over just one heart. In B2B organizations, there is an average of 6 to 7 decision makers involved. All of them, at one stage or another, need to be convinced why they should sign up for your product or solution. For B2B content marketers, this presents a unique challenge – and a unique opportunity. Consider which type of content works best for each decision maker. For example, the product manager will likely want to hear about technical features and benefits. However, the finance exec will be interested to know how your product can do the best job while saving money. There are so many different content formats and distribution platforms. Content marketing is the perfect opportunity to experiment with them all to create a successful B2B strategy that targets the various decision makers with specific content that will win them over (see number 5 for more on targeting). 3. Remember, B2B customers take a long time to convert. B2B conversions don’t happen overnight. Unlike B2C, there’s no such thing as an impulse buy. What’s more, B2B purchases are often costly, so it’s no wonder that the journey from lead generation to conversion can take months. Your content marketing funnel is your best friend throughout this entire process. A well-designed content funnel can guide your prospects from top-of-the-funnel browsers to middle-of-the-funnel deliberators, to end-of-funnel converters. According to one study, nearly half of B2B content marketers are creating dedicated content for three to five buying stages. The key responsibility of any B2B content marketer here is to define the touchpoints and target audiences along the entire funnel and to develop compelling content accordingly. 4. Give B2B customers a deep understanding of your product. Given the complexity of most B2B purchase decisions, your customers need to digest a lot of information about your solution in order to reach the conversion stage. But that doesn’t mean bombarding them with navel-gazing marketing brochures or long, boring lists of features and benefits. Although the customer is considering whether or not to buy your product, it’s not really about the product itself. It’s about what your product, or solution, can do for them. Can your product improve their sales or streamline their operations? Will your solution make their business more profitable? If so, how – and how much? This is the kind of conversion-inspiring information you need to provide, and B2B content marketing is the way to do it. 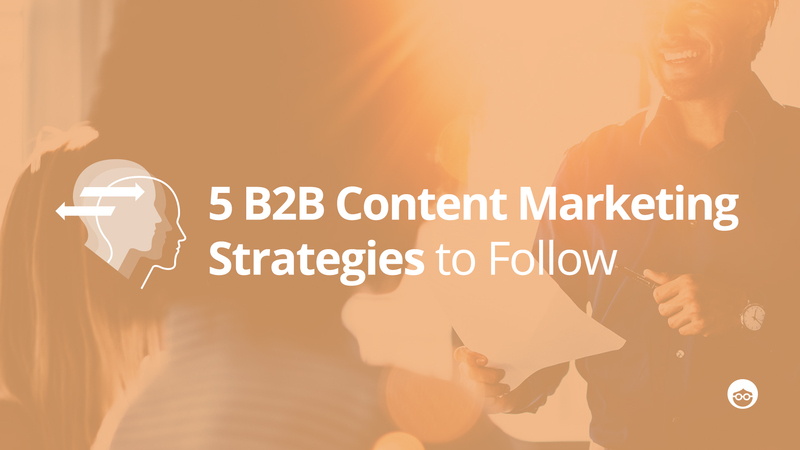 There are many types of long-form marketing content that you can leverage in your B2B strategy, such as ebooks, white papers and video series’. And the bottom line: it works. 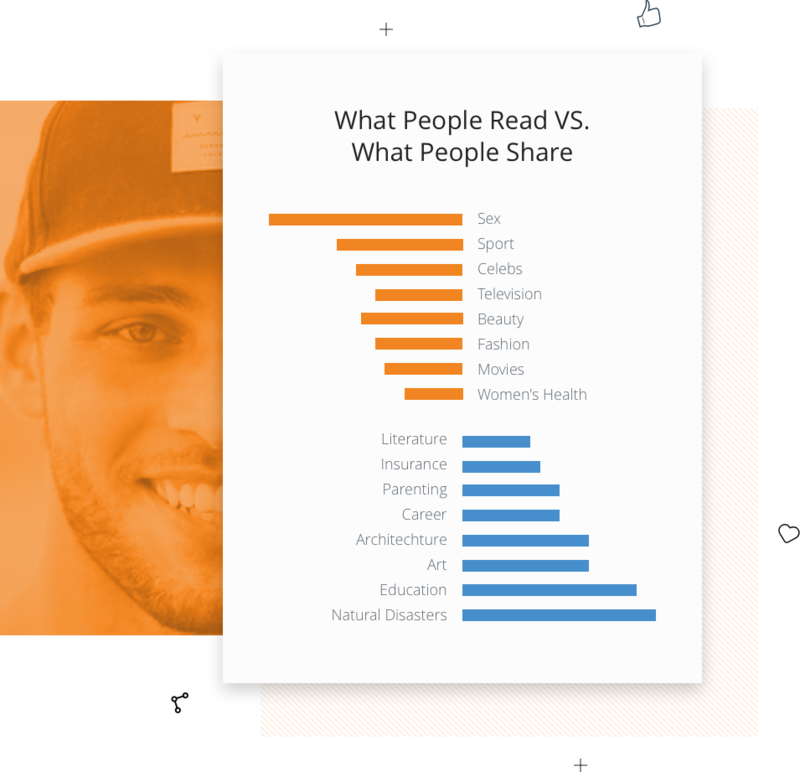 Long-form content, which provides more space to present a deeper perspective, gets way more social shares and higher conversion rates. 5. Use interest targeting to find your B2B audience. A key difference in B2C versus B2B marketing is in the sheer number of potential customers. If you’re selling shampoo, your target audience is huge. Everyone washes their hair. In contrast, if you’re trying to sell an enterprise IT security software package, your lead pool will be much, much smaller. Just because your pool of leads is relatively small, doesn’t necessarily mean they are hard to find. Many content distribution platforms, such as social media, search engines, and native advertising networks, offer advanced targeting tools that help you to find your target audience via a range of parameters. Some are pretty standard, such as location, job title, or age group. 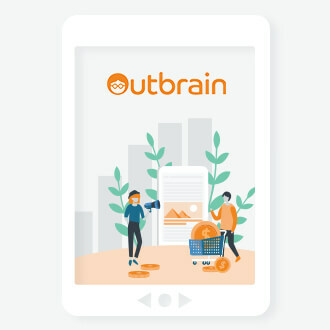 Others, such as Outbrain’s interest targeting toolkit and Lookalike audiences feature, enable you to find potential customers that standard targeting techniques might have missed. For example, with interest targeting, you can serve native ads to prospects according to their true interests, not just what they publicly share online. When you consider the 5 points above, content marketing for B2B doesn’t seem quite so daunting. In a way, your B2B prospects are much like the B2C customers wandering the mall or browsing online. They are looking for solutions to particular needs. As a B2B content marketer, your job is to show how your solution addresses their need, and how it does it better than the competition. At the heart of B2B content marketing lies this key question: what can your product do for them? Answer it, and you’ll be on your way. Experienced Inside Sales Representative focused on helping marketers drive marketing results. I eat, sleep, and breathe quality B2B lead generation, new customer acquisition, brand awareness & thought leadership. 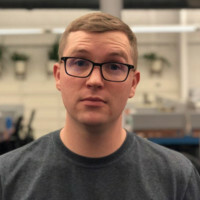 Between my background in advertising tech, sales, and content marketing, I work with my clients to develop unique and powerful strategies to achieve their marketing goals and promote great content.